There is a rumor about the Apple Watch. The much anticipated and much wanted piece of gadget is reportedly going to cost $5,000. It seems that Apple Watch will not be affordable for most people and would remain only a perfect companion of a rich sybarite. 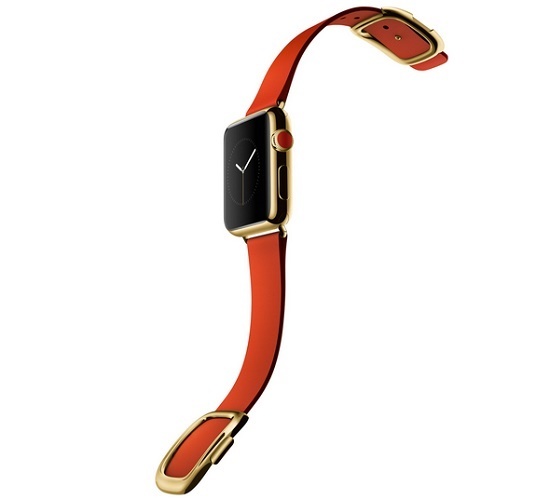 The exquisite gadget, as announced by Apple, will come in three different flavors port, steel and gold. We have got an idea about the Sports flavor which is around $350. So that made many of us think that the price of other two flavors will be nearly around the range. But the new rumor hit everyone like a thunderbolt. The rumor or leaked news, whatever you would prefer to call came from iGen. iGen has a good track record of providing authentic news. However other than the Sports version, the stainless steel version will come to market with a $500 price tag. Now the main news is the Gold version which is resplendent and beautiful. The gold edition will be made of 18-karat gold crafted with sapphire crystal along with a number of luxurious straps. So we can imagine that the all luxurious materials will augment the overall price. There is still confusion whether the watch will be made of gold chassis or gold plating but you cannot deny that this piece deserves a gadget freak hedonist. WhatsApp Blue Tick- No more pretension of not reading message but is there any loophole? I like this gadget because is a fancy and elegant think. I love the apple staff because they try to find a good comunication between the soft and the device. Also a nice website!